← Harrogate Hitlist: David Mark’s confession…. Very pleased to have Mark Edwards drop by today on the blog to tell us a little about his first Theakstons Old Peculier Crime Writing Festival appearance and to reveal his favourite crime fiction reads along with those of his writing partner, Louise Voss. This year will be my first year at Harrogate and over the last few weeks I have been watching festival veterans work themselves into a foaming frenzy of anticipation. There has been a lot of talk about boozing, lots of promises of meet-ups; everybody tells me it’s the best thing ever. I can’t wait! My writing partner Louise Voss and I will be appearing alongside Mari Hannah, who has already appeared on this blog so I won’t repeat what she said. But, like Mari, Louise and I had a long, hard slog – with more ups and down’s and emotional highs and lows than an X Factor winner’s ‘journey’ – to get to the point where we are now. Most people know that we had a self-published No.1 on Kindle. That opened doors for us which led to our deal with HarperCollins. But before that there were many years of trying and never-quite-getting-there. You can read the whole journey, from my perspective, here: From being left on the shelf, to being on the shelf. The panel we are taking part in at Harrogate is called Success Stories. That’s great, and when you are a struggling writer, trying to get that deal, you become so fixated on finding a publisher that you often don’t see beyond that except in misty fantasies of CWA Gold Dagger acceptance speeches and moving in next door to JK Rowling. But finding a publisher is only one step on the way towards success. I still feel like we have a very long way to go – to establish ourselves, to find readers, to be able to relax and enjoy it. The most important part of that is to build up a body of work that you are proud of and that people want to read. That’s what it’s all about – not being a flash in the pan or a one-hit wonder; it’s about having a backlist that can compete with the best. 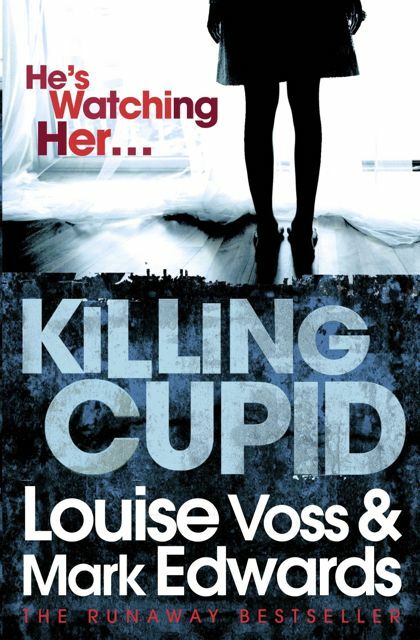 Catch Your Death and Killing Cupid – our stalker novel; the first novel Louise and I wrote together, that finally comes out in paperback on August 2nd, ten years after we started writing it – are just the first steps in what will hopefully be a proper success story. If you’re going to Harrogate, especially Creative Thursday, hopefully we’ll see you there. Please come and say hello. We want the opportunity to hand out some of the pretty business cards we’ve had made specially! In the meantime, in honour of the theme of success stories, we have chosen our ten favourite crime novels – five each. Books that have inspired us and made us want to be better writers. Maybe you could leave a comment and let us know if you agree or disagree with our choices. Mo Hayder – The Treatment Easily the most terrifying book I’ve ever read, made even more intensely scary by the fact that it’s set near where I used to live, and I’d see the flats where the killer lived every morning on my way to work. A psychopath takes a family prisoner and does unspeakable things to them. Then there’s the sub-plot featuring the brother of the hero, Jack Caffrey. The ending is perhaps the cruelest ever written. Read it if you dare. Just don’t expect to sleep much afterwards. Michael Connelly – The Concrete Blonde Connelly’s Harry Bosch books must be the most consistently-brilliant series out there. Bosch is such a great character, the Clint Eastwood of the LAPD. It’s hard to choose a favourite but this was the one that made me most breathless with excitement. You know when you are so immersed in a book that it feels like you are inhaling the words? That’s what it feels like reading The Concrete Blonde. Natsuo Kirino – Out Another darkly disturbing shocker, this one. A downtrodden Japanese factory worker accidentally kills her husband, then enlists some of her friends to help cover it up. I used to live in Japan and this book perfectly captures the side of that country you don’t usually see. It’s not all neon and Hello Kitty. This is a cold, chilling read and utterly gripping. Jason Starr – The Follower Jason Starr deserves to be far, far more famous than he is. He has written a series of standalone novels, most of which feature a guy who makes a stupid mistake, then more stupid mistakes, and watches his life spin completely out of control. The Follower is slightly different – it’s about a woman and her stalker. And as well as being extremely fast-paced it’s very funny. Starr is now writing werewolf novels which are also great, but his earlier crime books are all, without exception, brilliant. 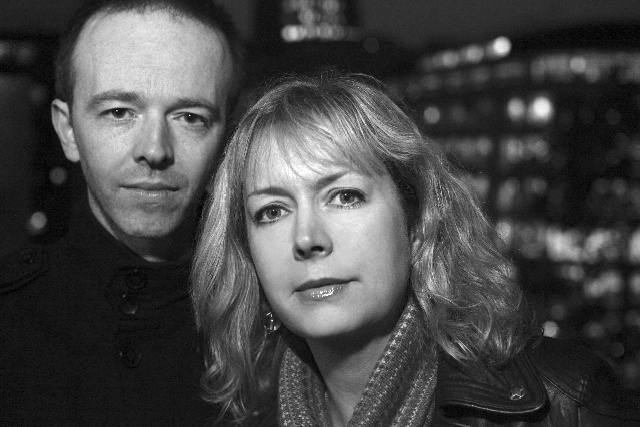 Kate Atkinson – Case Histories (or any of her Jackson Brodie novels). I’ve loved KA since Behind the Scenes at the Museum in 1995. Jackson is a British version of Jack Reacher, and the sexiest fictional detective I can think of. I fancy him something rotten! Peter James – Dead Like You A consummate storyteller, I think James’s strength lies in the way he uses a third person narrative so effectively- all his characters, even the fairly minor ones, are so brilliantly drawn. I could have picked any of the Roy Grace novels but this one really stuck in my mind (it’s ‘the one with the shoes’!). Emlyn Rees – The Hunted A masterclass (am typing this on my phone and four times my predictive text has insisted that says ‘master lass’) in writing pace and tension – such a page-turner. Elizabeth Haynes – Into the Darkest Corner The crime novels I enjoy most are those that can combine a cracking pace with complex, believable characters in extreme or unusual situations. I’m not a big fan of extremely violent books in which people get imaginatively tortured. Mark writes all those bits in ours! I think the characterisation in ITDC is great. Many thanks to Mark and Louise for some top selections there and for their time to drop by.